The following interview is a conversation between Nicole Fleetwood and Virginia Grise, two women whose work and research is deeply concerned with the effects of mass incarceration in the United States. 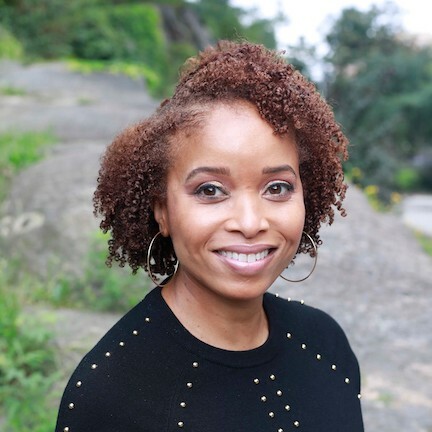 Nicole R. Fleetwood is a cultural theorist and writer interested in visual culture, black cultural history, gender and feminist studies, performance, creative nonfiction, and poverty studies. Fleetwood is a professor in the Department of American Studies at Rutgers University, New Brunswick. She is the author of Troubling Vision: Performance, Visuality and Blackness (2011) and On Racial Icons: Blackness and the Public Imagination (2015). Her research into visual art practices in prison life is the subject of her forthcoming book Carceral Aesthetics: Prison Art and Public Culture. She has collaborated with Aperture Foundation on Prison Nation — an exhibition of prison photography, a special issue of the magazine, and a six-part public engagement series. Fleetwood was an invited keynote speaker to the Society for Photographic Education’s 2019 annual conference: The Myths of Photography and the American Dream. She received her Ph.D. from Stanford University in the Program in Modern Thought and Literature and her B.Phil. from the School of Interdisciplinary Studies at Miami University (Ohio). Virginia Grise is an award-winning theatre artist. Her play blu, published by Yale University Press, was the winner of the 2010 Yale Drama Series Award. An epic poem for the stage, blu traces the explosive after-effects of prison and hunger, desire and war. Prisons, both literal and metaphorical, the boxes people try to put us in, and state violence are tropes that recur in her writing. Her other published work includes Your Healing is Killing Me (2017) and The Panza Monologues co-written with Irma Mayorga (2014). Most recently, she staged the world premiere of Their Dogs Came with Them an adaptation of a novel by Helena Maria Viramontes at Perryville Women’s Prison in Goodyear, Arizona. She holds an MFA in Writing for Performance from the California Institute of the Arts. VG: Tell me about your new book Marking Time: Art in the Eras of Mass Incarceration. 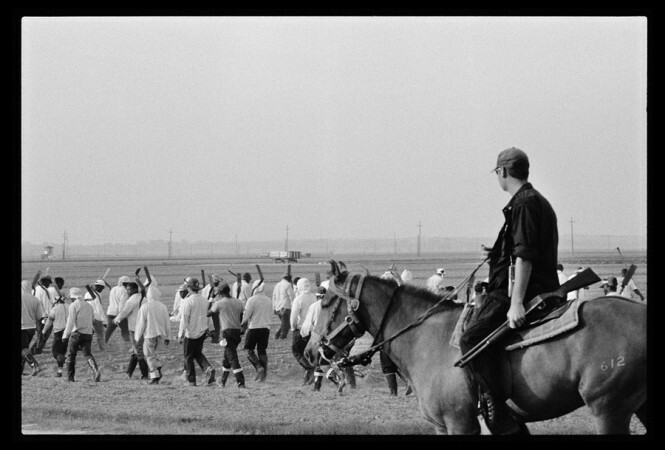 NF: The book broadly is about art, aesthetics, and the carceral state. In some sense it is a sustained investigation on how our punitive system of governance and locking people away impact the production of culture on various levels. I am most interested in the creative and cultural practices of those marked as criminal and subject to incarceration. The basis of the study is over 60 interviews with currently and formerly incarcerated artists, and non-incarcerated artists and photographers whose works deal with issues related to prisons. VG: What compelled you to write this book? NF: The book began as personal exercise to cope with the long and painful experiences of my relatives being incarcerated. I grew up in a rust belt town in southwest Ohio that has been deeply impacted by mass incarceration. Over the course of the past three decades, I have had countless relatives racially profiled, arrested, detained, and sentenced in Ohio prisons. Photograph Courtesy of Fleetwood Family Archives. VG: I think about the idea of marking time and how those of us with family members that are incarcerated also mark time — days, years — before our loved ones return home. How do we mark time on the outside? 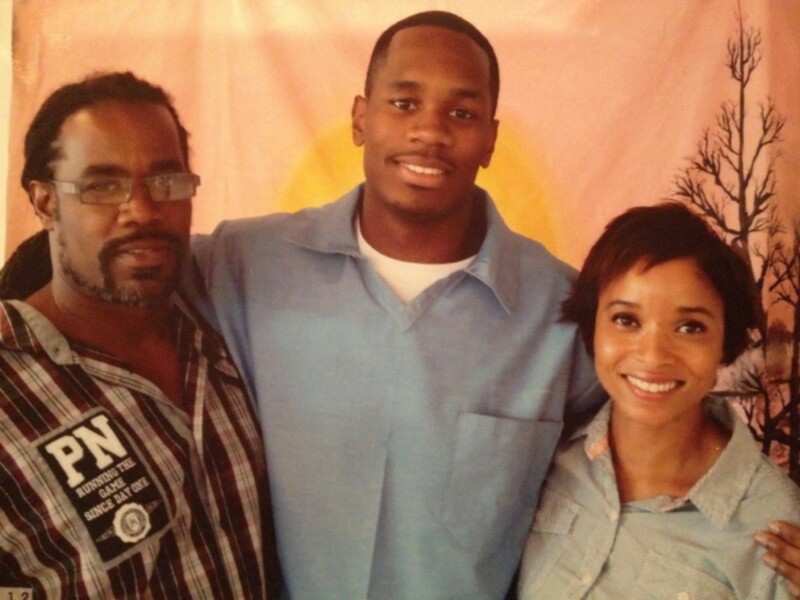 Can you talk about your collection of photographs from family in prison? NF: About seven years ago, I started hanging photos of incarcerated relatives around my apartment as a way of bringing to light their invisibility and removal from quotidian family life. I then began to share these photos and lecture about how imprisonment has impacted my family and hometown. From those initial lectures, the project has grown largely because people have shared their own experiences with me of being incarcerated or having loved ones locked away. As I shared about my family’s painful history, my community grew over the years. This project in some respects has been an enormous gift to me given all of the people I have met along the way. VG: To take that archive of family photographs out of boxes/hidden and display them in your home, and to then share them in public spaces, not only acknowledges loved ones that are locked up as integral parts of our family (no matter how long they are away) but that their stories, our stories, are important and that we have something to learn from them. The photograph itself, in some ways, becomes another way to mark time, a document of how years have passed, what milestones happened during that time, and how time effects our relationship to one another. As a scholar and a curator, your approach to the work, I think centers not only what you have to share but what you have to learn. You have said that “…one of the most voluminous sites for the production of contemporary black photography takes place in the visiting room of US prisons.” Can you talk a little more about that process? Who takes those photographs? What type of camera is used? How are those photographs taken on the inside different than photographs you have studied from outside photographers? NF: There are makeshift photo studios in many prisons and jails around the country. 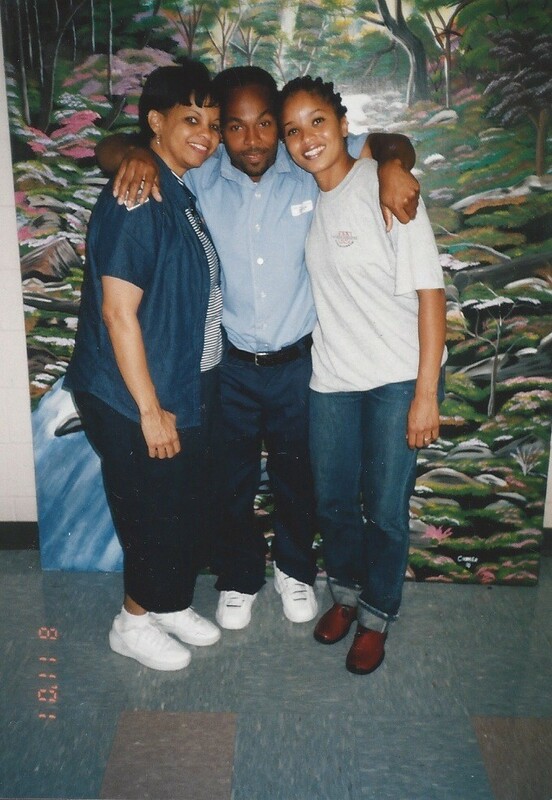 They are usually set up in visiting rooms, and at a cost — typically $2 or $3 per print — incarcerated people can take photos with loved ones documenting the visit. The photos are usually staged in front of a backdrop painted by incarcerated people. The backdrops tend to be landscape paintings, scenes of nature, or symbols of freedoms like an open blue sky. The photographs tend to be taken by other incarcerated people who work as visiting room photographers. This is a position of privilege inside prison, and generally white incarcerated people tend to occupy this position. 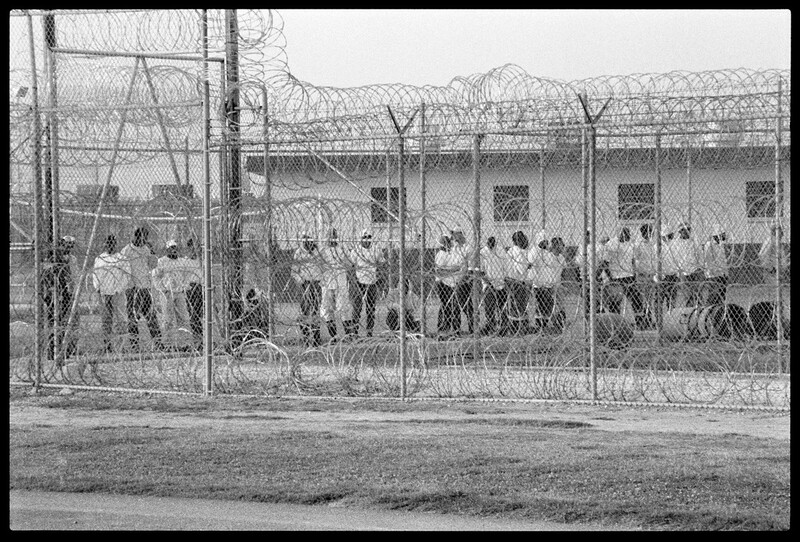 Prison, like most institutions, are organized along racial, ethnic, and gender hierarchies. In the past, the photographs were taken using Polaroid cameras and often images were hard to make out. 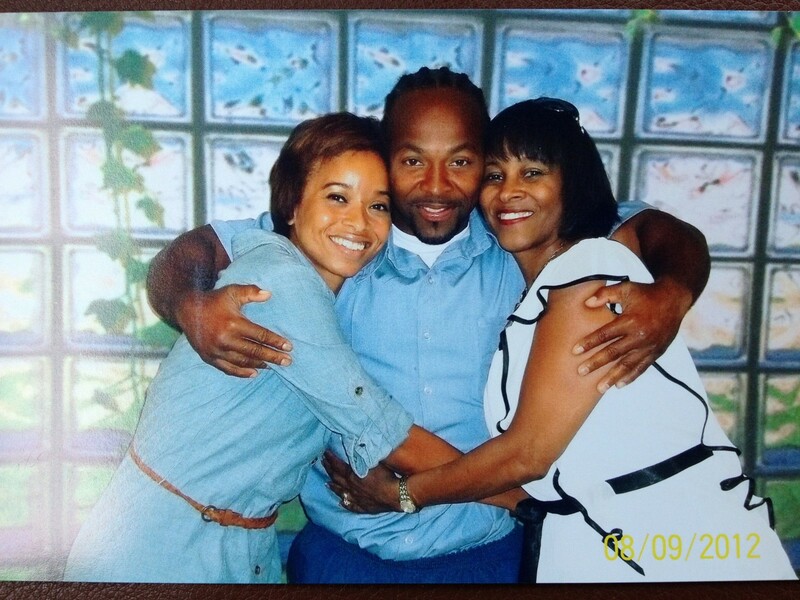 Now most incarcerated photographers use digital cameras to document family visits. It has completely changed how family visits get documented. Images are clearer. People take multiple poses. These photographs are meant for intimate, personal collections but more and more they circulate more broadly in public culture. VG: I went to the Prison Nation exhibit at Aperture and I remember being really moved by seeing your family portraits displayed alongside the work of visual artists like Jesse Krimes, Nigel Poor, Joseph Rodriguez and Jamel Shabazz. What type of impact did it have on you? Your family? NF: After the opening at Aperture’s galleries in New York City, the exhibit traveled to the Cleveland Public Library. It was incredibly moving because several members of my family came to the opening in Cleveland, including De’Andre and Allen. They had not looked at some of the photos since prison. When the reception was over and we were getting ready to leave, Allen asked, “Aren’t we going to take those photos with us?” He knew that they were part of the exhibit but something about the intimacy and pain that the images triggered provoked the question. I told him they were staying and asked if he was okay with it; he said yes but I could tell he it really affected him to see his experience as captured in those images on display. One thing that I say whenever I talk about photos of incarcerated people is that these are images of people who cannot consent. When you are incarcerated, your status is that of a person held in punitive captivity in which time is a measurement of one’s punishment. In such a state, you have very limited control over your personhood. You must move when a prison staff says move. You must shower when told to shower, eat when told to eat, and so on. How can you consent to have your photo taken even if you say “yes”? You are positioned as the unfree, someone stripped of certain rights and whose experience of one’s body is largely shaped by the markings of carcerality. So I think it’s essential that anyone who is doing a project on incarceration or documenting people held inside prisons, detention centers, on parole, and in other ways tethered to carcerality acknowledge the vulnerability and precarity of people who are subject to their cameras or pens, or other forms of representation. In this regard, I am deeply moved by the work of Chandra McCormick and Keith Calhoun, two New Orleans based photographers who are coupled and work together to document the long durée of black subjugation and captivity. 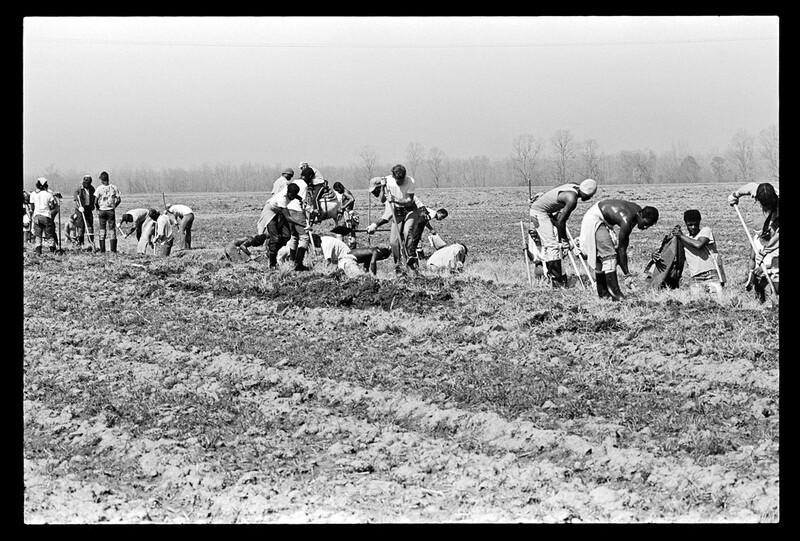 Since the 1980s, they have been photographing people in Louisiana prisons, black cultural practices in New Orleans, and various forms of labor of black people and other marginalized and vulnerable populations — often invisible and exploited labor — that make up the state’s economy. Their visual accounts make connections between the institutions of prisons and various other forms of imprisonment and subjugation of people most directly impacted by the carceral state. © Chandra McCormick, Line Boss Angola, 2013. Photograph provided by Fleetwood, used with permission from C. McCormick. © Keith Calhoun, Ditch Digging, 1980. Photograph provided by Fleetwood. Used with permission from K. Calhoun. © Chandra McCormick, Work Call, 2013. Photograph provided by Fleetwood. Used with permission by C. McCormick. VG: Can you say a little more here about what you mean by carceral aesthetics? Because I think it ties into these connections you are talking about. How does the idea of carceral aesthetics challenge the way we think and talk about art and artmaking? NF: I know that you have mentioned that the term has been useful for you in the collaborative work that you do writing and producing theater with people in prison. It’s a concept that I develop throughout the book. It’s multi-valent in that it reflects the horror of the carceral state and the expressive capacity and creativity of people held captive within. What resonates for me throughout the project is this: having an aesthetic vision is a form of liberation, and practicing this does not erase the brutality, cruelty, and suffering of incarceration. VG: Who has the right to aesthetics is something I think about a lot. And what I mean when I say that — is even as an established artist — someone who went to an elite art school — I am rarely asked about my aesthetic practice or choices. I am often asked to talk about the issues that I address in my work, or my politics, but rarely am I asked to actually speak about the art. Or how I tell a story — and how I tell a story is just as important to me as the story I am telling, because I think how I tell a story is also inherently political. Aesthetic choices are also political choices. I don’t think you can separate those things out. Centering aesthetics is important to me in my work, including the work I make in prisons. I have heard incarcerated artists speak about feeling used or exploited by collaborative projects that create more economic and cultural currency for non-incarcerated artists and that use incarcerated people as “raw material” for the making of art. It seems to me that part of the work of collaborating is being upfront about how power operates inside these collaborations and across institutions invested in these projects. VG: Theater can not be made unless it is made in collaboration and yet people still approach work from very colonialist models as if the artist on the outside is “bringing light into a place of darkness.” This is an actual quote I have heard people use, a straight lift from Conrad’s Heart of Darkness, right? Ideas like these don’t acknowledge folks that are incarcerated as collaborators or artists even. I want to work with people as collaborators, as artists. NF: I think about collaborating especially across such power differences, degreed artists with a great deal of mobility and cultural recognition, even if not economic power — and incarcerated artist who spend most of their time in punitive captivity, living with the bare resources, and living under constant surveillance. It’s a messy endeavor. It doesn’t mean that people shouldn’t venture into collaborative work across the carceral archipelago, but you have to be willing to deal with the complexity. I recall an incarcerated activist/artist responding to a critique that an artist he was collaborating with was using him for her own recognition. His response was basically, yes she is and so am I. He was getting something out of the collaboration that was both material and relational. This is not to say that anything goes but it is an ongoing conversation that I have in my head. I was recently deeply transformed by the collaboration between you and incarcerated people at Perrvyille prison in Arizona. The adaptation that you all co-created of Their Dogs Came with Them was stunning. It left me and the audience of incarcerated and non-incarcerated people speechless. The play itself was so powerful and well executed but the multi-sensory experience of being in the prison yard, being whipped by cold Arizona winter winds, hearing the bullhorn and commands of the prison staff, and knowing that once the play ended there would be a symbolically and physically violent process of separating and accounting for the bodies marked as those under the control of the penal state. It was also a difficult experience of being in the audience where “the free people” were literally segregated from the incarcerated people. I was transformed but I know in saying that it was a very different experience for you and the co-producers who are still in prison. Then I have to ask myself, why was I transformed? Was it the adaptation of an incredibly moving novel, the performances, the staging and direction, the fact that it was a collaboration between those differently positioned in relationship to prisons? It was largely how multi-sensory and somewhat disorienting and entirely overwhelming the experience was. VG: My approach to this particular project was to start with an idea initiated from the inside. A group of people wanted to put on a play. They didn’t want to write about their own stories or have me write about their stories. So, I kept returning to that mandate. As a writer and a director, I am here to put on a play. What do we need to put on a play in a prison? In the middle of the desert? Going back to the question of aesthetics, I am interested in an aesthetics of of disorientation and disruption. How does this play act as a disruption in a place of unfreedom? What can it teach us about ourselves and each other? In the end, unlike my other work in prisons, Their Dogs Came with Them was well funded; there was an outside audience; I think people will write about the work; there will be a production of the play at Borderlands Theater outside of the prison; even though the actors will be different in that production, the script I wrote is largely informed by the dramaturgical work of not only the actors who were incarcerated but also by the dramaturge I had inside. All sorts of contradictions came up in the process of making the work and I think I am still working through some of them. One of the contradictions is that I don’t know how to make art without being open, honest and vulnerable and I don’t know if that is a fair thing to ask people to do given the context of the prison because after rehearsal I get to go home, right. What does collaboration mean in that context? I just realized that the only documentation we will have of that performance are the photographs taken by the photographer from the prison newsletter. And yet even at the end of the project, the theatre agreed that they didn’t want the photographs to circulate outside of the prison. I think about what you said about having an aesthetic vision, that having an aesthetic vision is a form of liberation but it doesn’t erase the brutality, cruelty, and suffering of incarceration what does liberation mean in this context? What does that mean for how we understand liberation, how we understand freedom? NF: Whenever someone who is held captive, who is subjugated, who is rendered silent or invisible, who is labeled as non-human, irrational, or unthinking create, that very act is a challenge to their captivity and subjugation. To create is a foundational practice of aesthetic discernment, of articulating a viewpoint, of being in the world. That’s how I’m using liberatory in these cases. It’s not the same as freedom. More than once a week, I repeat Angela Davis’s saying, “Freedom is a constant struggle.” In so many ways, my work is indebted to the scholarship, activism, and visionary ideas about justice and freedom developed by Davis and other prison abolitionists, especially black feminist abolitionists who are working to create a world that we have not yet seen but one that is centered around dignity, recognition, and healing and where institutions are not built and perpetuated to enforce suffering and marginalization. VG: Do you think art can set our people free? NF: I know that some people believe that art can set people free. I don’t think I quite believe that. I’m pretty sure that I don’t. I have been criticized for instrumentalizing art and I don’t want to do that here, I mean just reduce it to a tool. I do think there is something grand, something mighty, something magical about the human capacity to create in any condition. Nicole R. Fleetwood is Associate Professor in the Department of American Studies at Rutgers University, New Brunswick. Her research and teaching interests are visual culture, photography, black cultural history, gender and feminist studies, creative nonfiction, and cultural works that address poverty and social inequality. Virginia Grise is an award winning theatre artist. 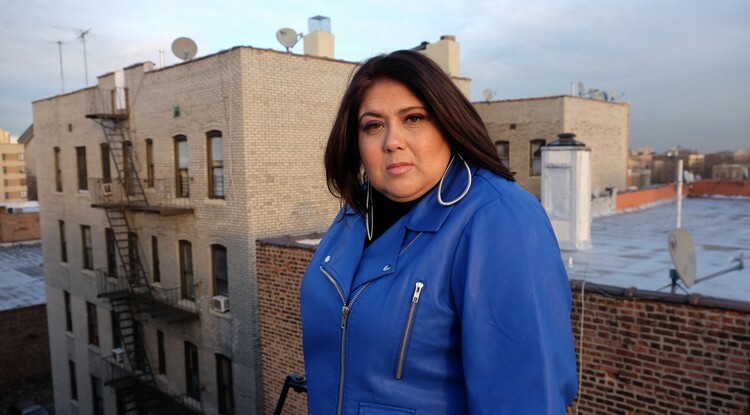 She has taught writing for performance at the university level, as a public school teacher, in community centers, women’s prisons and in the juvenile correction system. Find out more about SPE here, or learn about the many benefits of membership here. Join with other thought leaders in the field and add your voice to the direction of the organization. Find out more about the 2020 Annual Conference “2020 Vision” to be held in Houston, Texas.